College Humor followed a similar formula with its sketch of a grown man falling for the beautifully colored temptress as he’s carried away on a stretcher. The company’s video description on YouTube had to be edited once the current string of real-life incidents started happening. “In light of recent news reports of idiot teens actually eating laundry pods, we want to make very clear that our position is the title of this video: DON’T EAT THE LAUNDRY PODS, you moron. Not even a little tiny bit, to impress your dumb friends or the internet. You will get poisoned and die,” it now reads. The specific inspiration may not be nailed down but people often don’t need much of a nudge to do things for a laugh. We’re looking at you, Boaty McBoatface – the online winner of a poll to name a research ship in U.K.’s Natural Environment Research Council fleet. 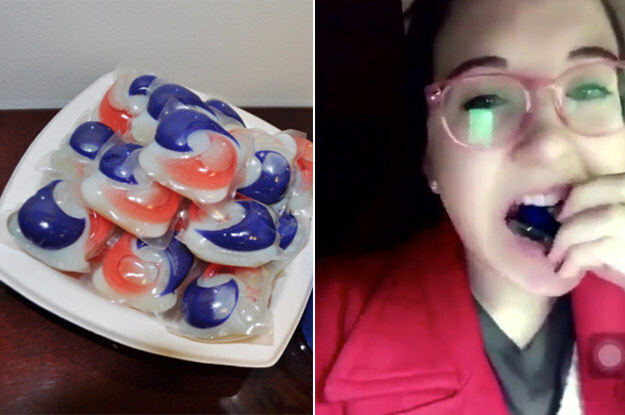 While the Tide Pod Challenge may slow down now that national attention has been brought to the dangerous trend, the jokes have continued to be thrown in the wash. A Twitter page called “Tide Pod Memes” has provided a lot of material. Take a look at some of their creations, and then let us know your thoughts on this bizarre challenge.